Money laundering happens in all most all countries including India. Recently global giant HSBC has been charged for money laundering cases. As per TOI report Indian tax department has served summons to HSBC. In this article we will discuss what is money laundering and how money laundering works in India and abroad. At the end we will also look into some real life money laundering cases. 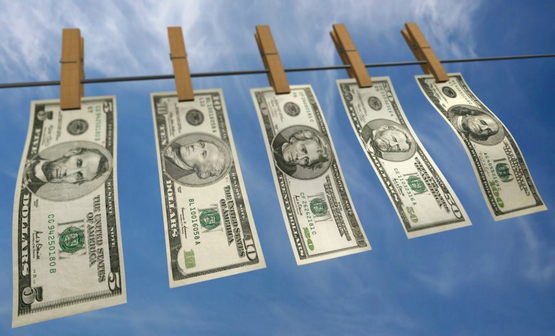 In money laundering process, illegally obtained proceeds are laundered and moved around the world through several countries to conceal or disguise the identity of fund through companies, intermediaries and money transmitters. The main aim is to obscure its origins and to integrate these illegal funds into the legal business to make it real money. This means, money obtained from criminal activities are transferred into legitimate channels to disguise its illegal origin. Most of these criminal activities are drugs trafficking, extortion, illegal gambling, corruption, terrorism, tax evasion, fraud and chit fund scams. In the first step, cash obtained from criminal activities are some how placed into the financial system. To introduce illegal funds into the financial system, money moved physically out of the country either by airplanes, ships, automobiles or by hiding the money in luggage to a favoring country to distance the money from location where the offence was committed. This step is commonly known as Placement stage. After introducing the money into the favoring country’s financial system, layering stage begins. In this stage various financial transactions take place by which money transferred to different banks across the globe to hide the trail of money or to distance them from the original source. In this step criminals may invest in foreign instruments to make the transaction difficult to follow. In the integration step, criminal reclaims money through legitimate transactions like investing in a real estate company or by transferring money from foreign banks to offshore bank accounts. Above steps can be changed based on the type of money laundering. Due to this reason, Indian Income Tax law requires high value transactions to be reported to the tax department. For instance, TDS at the rate of 1 percent is required to be deducted under section 194IA of Income tax Act, 1961 if property purchased has a value of Rs 50 lakhs or more. Similar provisions are also in place for other developing countries as India is not the only country who is facing this type of money laundering problems. Indian tax laws also requires bank to report cash deposits in saving bank account exceeding Rs 1000000 in a year and/or credit card transactions of Rs 200000 in a year. This is a big barrier to money laundering activities where criminals use domestic accounts to disguise illegal transactions. In India, our parliament has passed the Prevention of money laundering Act, 2002 to prevent money laundering. For money laundering, criminals set up various companies like bars, casinos, restaurants, hotels called Shell Company or fake company for the sole purpose of money laundering. These Shell Companies accept illegal money in cash as legitimate business transactions with fake income and receipts and then deposited it into the shell company’s bank account as clean money. Now this clean money from Shell Company’s bank account can be transferred to other criminal’s bank account as legitimate business transaction to disguise the original source of money. In some cases large amount of cash can be smuggled outside the country to deposit in other country’s bank account where legal compliance are less and has a greater bank secrecy law like SWISS Bank and Panama Bank. In another form of money laundering, money obtained from criminal activities is deposited in a country’s foreign corporation where minimal records are kept and then invested back through FDI rout into the target country. In a real estate transaction, to disguise illegal source of money, price of the property is generally manipulated and the person buying the property paid for a lesser value compare to the original market price. At a later date, property either sold at a higher value to get invested somewhere else or kept as an investment. Here are two real life money laundering cases to understand how it works. In 1996, Harvard educated economist Franklin Jurado pleaded guilty in money laundering of USD 36 million on behalf of Colombian drug lord Jose Santacruz Londono. Franklin Jurado deposited cash from US drug sales in Panama Bank Accounts and then transfers the money in smaller transaction of below USD 10000 to more than 100 accounts in different banks in more than nine countries. These bank accounts are either in the name Franklin Jurado or in his family member’s name. To document these transferred money as legitimate business income; Franklin Jurado created Shell companies in Europe. After making it a legitimate business transaction, the funds would eventually make their way back to Santacruz Londono’s businesses in Colombia. Eventually, a bank collapsed in Monaco. Subsequent audit highlighted numerous accounts that could be traced back to Franklin Jurado. At the same time, Jurado’s neighbor in Luxembourg filed a noise complaint for the noise created by its money counting machine all night. He was sentenced to seven-and-a-half years in jail. Eddie Antar, the owner of Crazy Eddie deliberately falsified company’s books of accounts to reduce tax burden. Antar started depositing this money in Israeli bank accounts. From Israeli bank accounts, money transferred to the bank accounts in Panama and then to various offshore accounts. In preparation of IPO, Antar has also wired back certain portion of the transferred money from offshore bank accounts to the Crazzy Eddie’s Accounts to document as revenue. Due to difficulties in business, Eddie Antar sold his stock and left with USD 30 million in profit. After taken over, new owner’s financial analyst found that Crazy Eddie’s Inventory was sort by USD 40 to USD 50 million. US authorities found him in Israel in 1992 and Israel extradited him to the USA for trial on money laundering case. He received an eight-year prison sentence.